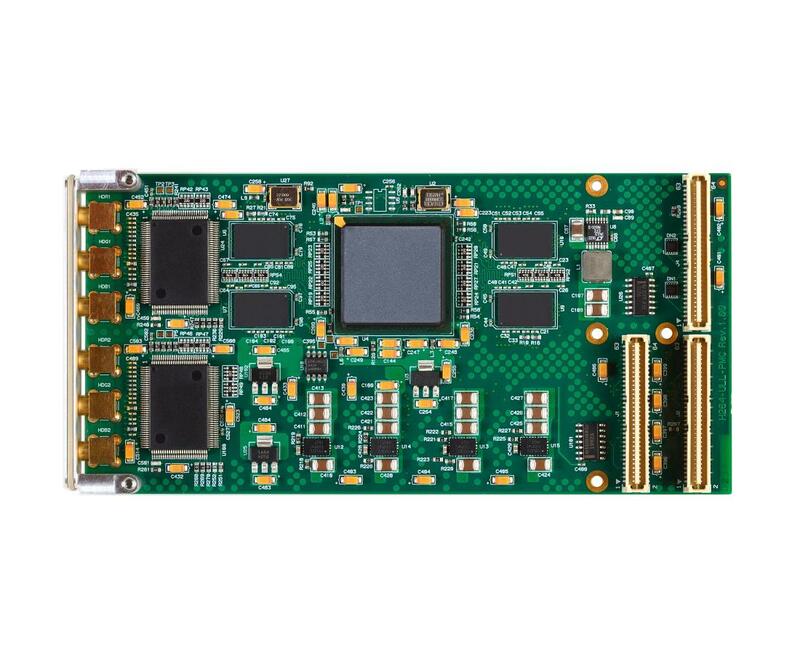 The H264-ULL-PMC is a ultra low latency, dual channel, H.264 encoder on a PMC Mezzanine form factor board. The H264-ULL-PMC provides a powerful and flexible solution for capturing and compressing up to 2 analog video inputs at up to 1080p HD resolution to the H.264/MPEG-4 AVC (Part 10) standard. The H264-ULL-PMC is ideal for time-critical applications as it offers Ultra Low Latency encoding of below 40ms across the entire capture resolution range. The H264-ULL-PMC can do dual H.264 encodes at resolutions up to 1080p30 or a single encode at 1080p60. The H.264 encoding can be flexibly configured to suit a range of bandwidth and storage requirements. The H264-ULL-PMC has two analog HD video input channels. Each channel can be independently configured for analog YPBPR HD or analog RGsB (Sync on Green). The H264-ULL-PMC is supported by a set of well-documented and established SDKs that minimize development risk and shorten time to market for applications requiring video recording or streaming.